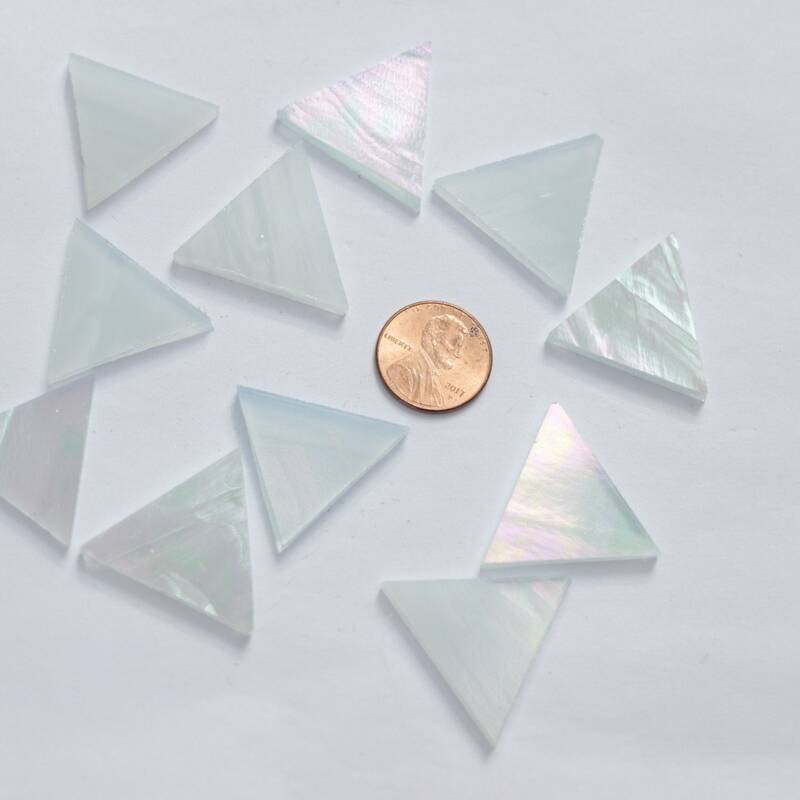 Wispy White Iridized Triangles are 1" tall and each side measures 1 1/8". There are 25 tiles in this package. This is Spectrum Glass #I/309S, Wispy White with an iridescent coating. The coating reflects an assortment of colors that include purple, pink, green, and blue. The color reflected is determined by the angle of the light source. 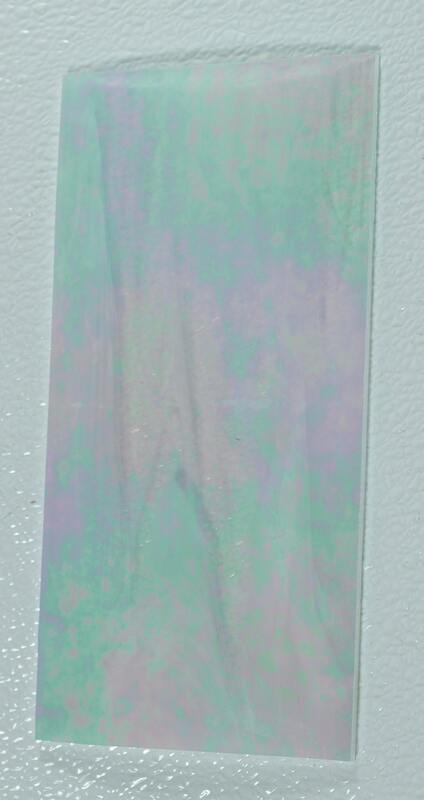 This is translucent glass so it's perfect for projects requiring light transmission. The shipping was very quick. Big plus is that they identify the maker of the glass in case you need a larger piece. Can't wait to use this glass on an upcoming project.